Get Info launches a window displaying the selected file’s general information and location. This window can also be launched by pressing +I or right-clicking and selecting Get Info. 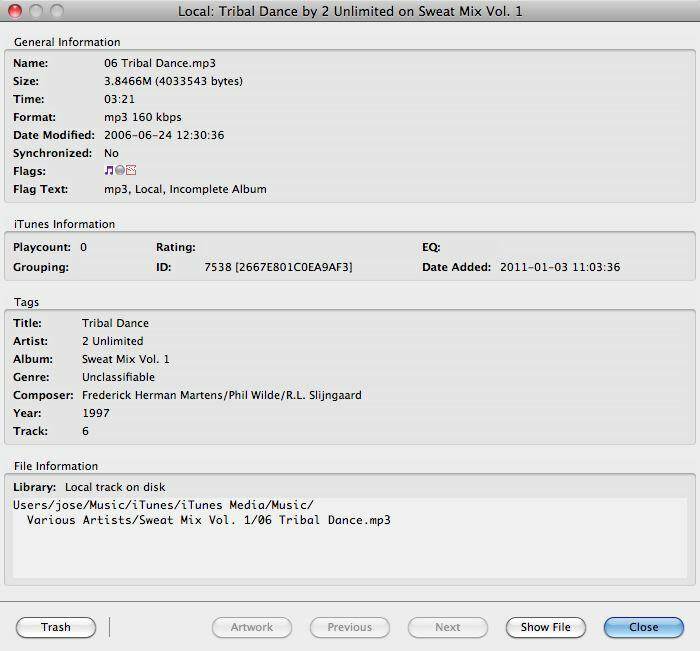 This window shows detailed information about a track such as file name, file size, file path, its tags (artist name, album name, etc), and its iTunes meta data (if the track is in a Local or Remote library that has been set to use an iTunes library).